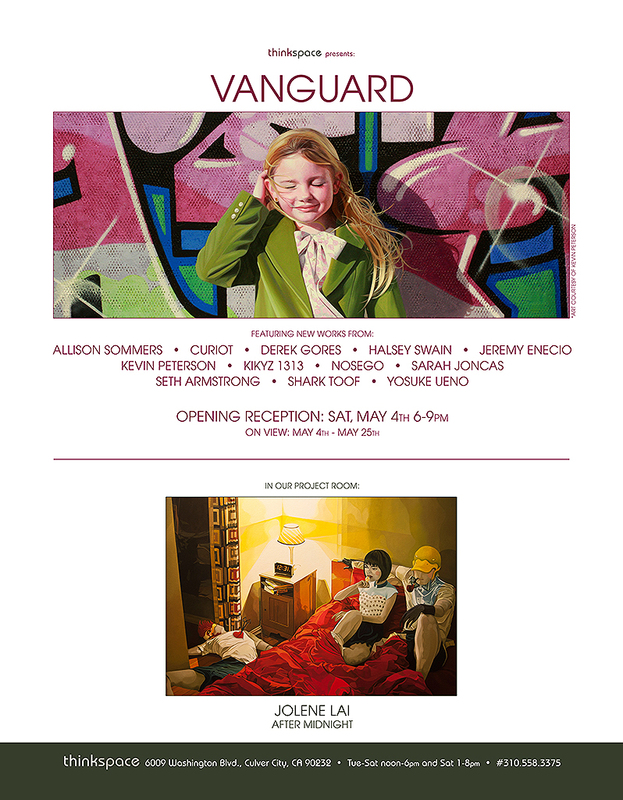 Thinkspace is pleased to present ‘Vanguard’, an exciting group exhibition of new works by the gallery’s established artists, and by recent additions to its roster. This special exhibition will provide a curated glimpse into the New Contemporary Art Movement with a dynamic selection of artwork representing the diverse range of its artists and their practices. These artists are unified by the shared intent to create exceptional artwork that speaks relevantly to contemporary culture. Distilling inspiration from a variety of sources including illustration, pop culture, comics, street art, and graffiti, the New Contemporary Art Movement culls its content from the world and presents imagery saturated with powerfully populist forms. As a movement with its beginnings firmly grounded in Los Angeles, Thinkspace has been a significant conduit and catalyst for its expansion worldwide. While it is young, New Contemporary Art has gained traction and recognition the world over and continues to establish itself as a potentially inveterate art movement with a steadily evolving history. 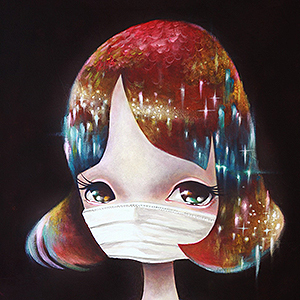 ‘Vanguard’ will feature artwork by Thinkspace artists Allison Sommers, Derek Gores, Kevin Peterson, Sarah Joncas, Seth Armstrong, Shark Toof, and Yosuke Ueno, and will also include works from recent gallery additions: Curiot from Mexico, NoseGo from Philadelphia, Jeremy Enecio from Brooklyn, Kikyz1313 from Mexico, and Halsey Swain from Portland. Each artist imparts their own unique and unrepeatable contribution to the movement in keeping with its core tenets of accessibility and contemporaneity; their work speaks democratically in a relatable way, and draws from the realities of the contemporary culture in which we are all imbricated. As an art movement that seeks to reflect popular cultural forms rather than to exclude them, the New Contemporary Art Movement is unified by its diversity and its appeal to shared sensibilities and social currencies. An aggregate of distinct and yet concomitant voices, each exponent is different and informed by his or her own vision, but each resonates with a desire to show the viewer something identifiable, real, imminent, and firmly grounded in the now. ‘Vanguard’ will present an inspired cross-section of these exceptional and varied talents, offering a rare opportunity to hear their voices in unison.